The Success Center provides a variety of resources to UCC students. Get help for your courses by meeting with an academic coach on campus, or hop online with SmarThinking for help on the weekends. Our computer lab is open to all students and provides access to our college prep review like CSM and LearningExpress Library. Below you can find a list of available resources at the Success Center. 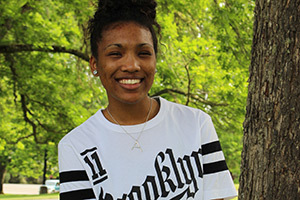 Student athlete, Ashli Payne, accomplished much while attending UCC by staying focused.